The 100th of National Academy of Science of Ukraine. pp. 3-4. The 100th Birthday Anniversary President of National Academy of Science of Ukraine Academician B.Ye. Paton. pp. 5-6. Vintsuk T.K., Sazhok M.M.,Selukh R.A., Fedorin D.Ya., Yukhimenko O.A., Robeyko V.V. Automatic recognition, understanding and synthesis of speech signals in Ukraine. pp. 7-24. Yefimenko S.M., Stepashko V.S. Forecast Analyst as an Effective Tool for Decision Support in Digital Economy Systems. pp. 25-35. 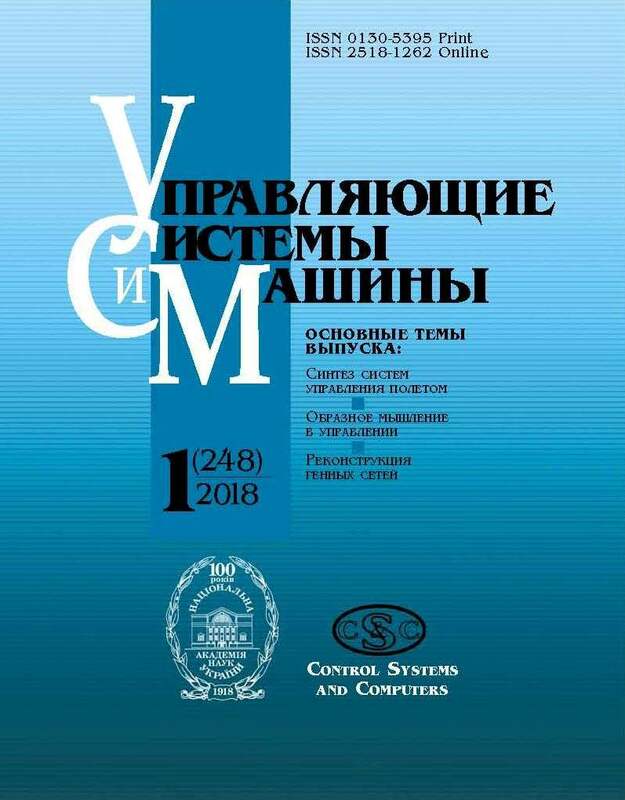 Sukhoruchkina O.N., Progonnyi N.V. On the formation of the object models by autonomous mobile robot resources. pp. 36-45. Tymchyshyn R.M, Volkov A.Ye., Gospodarchuk A.Yu., Bogachuk Yu.P. Modern approaches to computer vision. pp. 46-73. Antonyuk Ya.M., Oleksyuk T.N., Kovalenko Ya.O., Shiyak B.A. The principles of the machine learning application in classification of network traffic. pp. 74-80. Tutova O.V., Savchenko Ye.A. Assessment of Influence of Digital Economy Development on Social and Economic Environment. pp. 81-92. Systematic Index of Articles Published in 2018. pp. 94-96.